As hundreds of Palestinians, Israeli and international peace activists, marched on Friday in the weekly nonviolent protest against the Israeli Wall and settlements, in Bil’in in the central West Bank city of Ramallah, Israeli soldiers attacked them, firing gas bombs and rubber-coated metal bullets. Today also marks the sixth anniversary since the soldiers shot and seriously injured American peace activist Tristan Anderson. 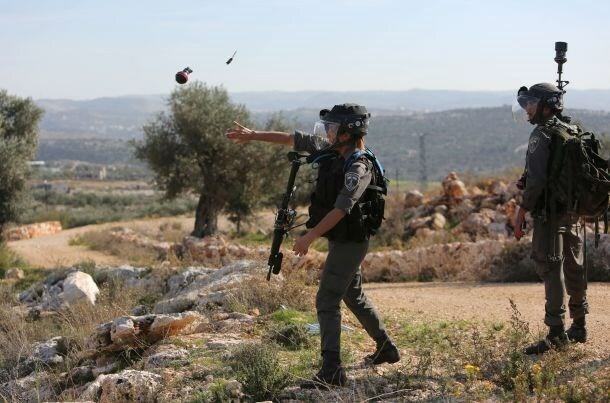 The Popular Committee against the Wall and Settlements in Bil’in said the soldiers fired dozens of gas bombs and rubber-coated metal bullets at the nonviolent protesters, and invaded the edges of the southern area of the village. The Israeli gas bombs also struck a number of homes, including the homes of Nimir Abu Rahma, Eyad Burnat and Saif al-Walidi, causing many residents, including children, to suffer the effects of tear gas inhalation. The protesters gathered in the center of the village, along with Israeli and international peace activists, and marched carrying Palestinian flags in addition to pictures of child detainee Khaled Husam Sheikh, and the five imprisoned children from Hares village, who have been held by Israel since two years. They chanted slogans calling for the release of all detainees, especially the 300 children held by Israel, and called on human rights and legal groups to intervene and secure their release. 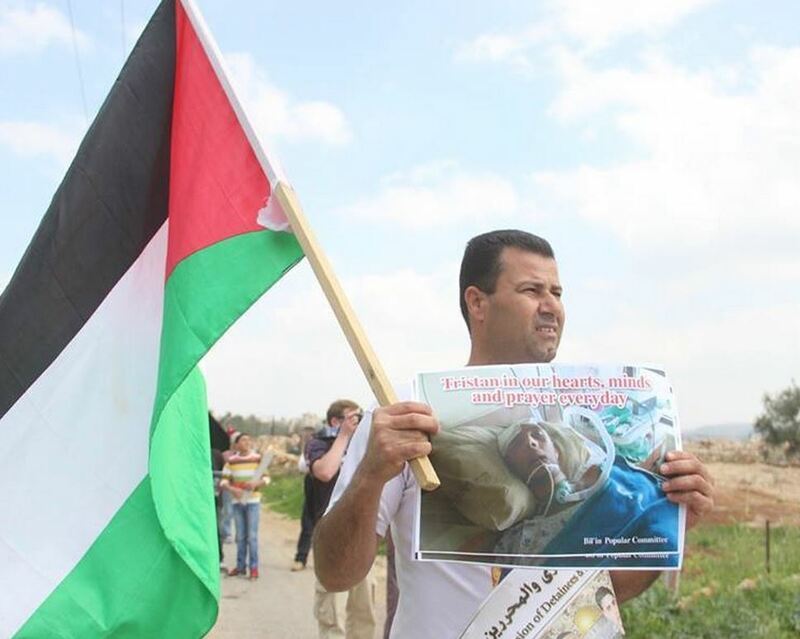 In addition, the protesters carried pictures of American peace activist Tristan Anderson, who, on March 13 2009, was shot by a high-velocity Israeli gas bomb in the forehead causing quadriplegia and blindness in his right eye. Anderson was shot in Ni’lin nearby Palestinian village. Many protesters also carried pictures of slain American peace activist Rachel Corrie, who was crushed to death by an Israeli army bulldozer, on March 16 2003, while trying to prevent the soldiers from demolishing Palestinian homes in Rafah, in the southern part of the Gaza Strip. Coordinator of the Popular Committee against the Wall and Settlements, Abdullah Abu Rahma, called on boycotting the Jerusalem Marathon organized by the Jerusalem City Council in an attempt to normalize Israel’s occupation, oppression, and ongoing illegal settlement construction and expansion activities. Abu Rahma said Israel must be held accountable for its crimes against the Palestinians, their lands and holy sites in different parts of occupied Palestine. Today on Friday, March 13, 2015, marks the. Tristan was shot in the head with a tear gas grenade following a demonstration against the construction of the Apartheid Wall in the West Bank village of Ni'lin. Ni’lin continues to hold weekly Friday demonstrations against the occupation and the Apartheid wall´s theft of Palestinian lands. To this day, Tristan requires 24-hour care. Currently, his family is in court against the government of Israel in a civil lawsuit, and the court hearing is scheduled to conclude on March 23. His parents, Mike and Nancy Anderson are 68 and 72 years old. This is not a symbolic lawsuit; it is a demand that the state pays for the long-term care that Tristan needs to survive. Tristan is paralyzed with chronic pain on the left side of his body; he is blind in his right eye, and he has suffered a severe brain injury. Many protesters have been injured, and three kidnapped, after Israeli soldiers used excessive force against the nonviolent weekly protest against the Wall and Settlements in Nabi Saleh village, near the central West Bank city of Ramallah. The Popular Struggle Coordination Committee in Nabi Saleh said hundreds of residents, accompanied by Israeli and international peace activists, marched following the Friday noon prayers in the village, and headed towards the main village gate where dozens of soldiers, and military vehicles, have been deployed. The Committee said the soldiers assaulted the protesters as they marched chanting against the illegal Israeli occupation of Palestine, its illegal colonies and Annexation Wall, before the army fired rounds of live ammunition, gas bombs and rubber-coated metal bullets. The soldiers also attacked and beat a number of women, children and young men, wounding seven who suffered various cuts and bruises. Three children were among the wounded; including a child who suffered head injuries after the soldiers struck her on the head and shoulders. The soldiers also kidnapped three women identified as Boshra Tamimi, Sherene al-‘Araj and Tali Shapiro, the Popular Struggle Committee said on its Facebook page. The Committee said it will continue its activities and protests against the illegal Israeli occupation of Palestine, its Apartheid Wall and colonies. It called for full Palestinian unity that also includes all factions, to create a united front that would ensure the ongoing struggle and steadfastness until liberation and independence. Israeli soldiers attacked, Friday, the weekly nonviolent protest against the Annexation Wall and Settlements in Kufur Qaddoum village, near the northern West Bank city of Qalqilia, shot and injured two by live rounds, while many suffered the effects of teargas inhalation. The Palestinians hold weekly protests in Kufur Qaddoum also demanding the military to open the main entrance of the village that the army sealed more than 14 years ago to allow uninterrupted traffic to Israeli settlers living in Qedumim colony, illegally built on privately owned Palestinian lands. Eyewitnesses said the soldiers fired rounds of live ammunition, gas bombs and concussion grenades on the protesters as they approached the sealed entrance of their village. Two Palestinians were shot and injured by live rounds, while dozens suffered the effects of teargas inhalation. 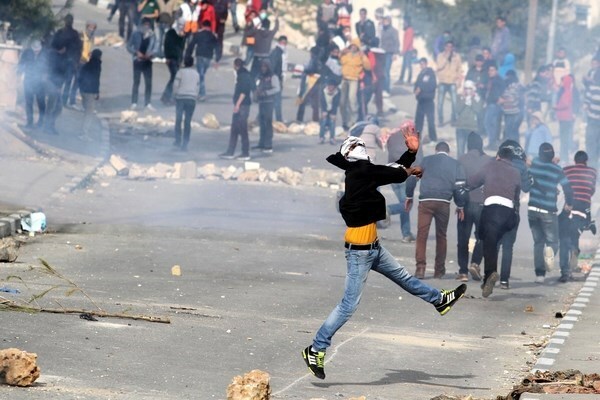 Soldiers also attacked the weekly nonviolent protest against the Wall and Settlements in the al-Ma’sara village, near Bethlehem, and fired gas bombs and concussion grenades. The Popular Committee against the Wall and Settlements said the residents were also marking the seventh anniversary of the death of four Palestinians, killed by the army in the village. The four are Mohammad Shehada, Mousa Marzouq, ‘Amer al-Kamel and Ahmad al-Balboul. The protesters carried Palestinian flags, posters of the four slain residents, and chanted slogans against the occupation, its ongoing violations, and its illegal settlement construction and expansion activities. In addition, soldiers kidnapped two Palestinians, and wounded several others, in Kisan village, east of Bethlehem, during a nonviolent protest in Palestinian lands Israel started bulldozing and uprooting, near the village’s northern entrance, to expand illegal nearby colonies. The Palestinian News & Info Agency (WAFA) said the soldiers attacked hundreds of Palestinians, and fired gas bombs and concussion grenades, causing scores of residents to suffer the effects of tear gas inhalation. The soldiers also kidnapped two Palestinians, including the Hasan Breijiyya, coordinator of the Popular Committee against the Wall and Settlements in the Bethlehem district. Israeli soldiers kidnapped, on Friday, three Palestinians in Bethlehem and Hebron, in the occupied West bank, broke into and searched several homes and stores, while many residents suffered the effects of tear gas inhalation. Mohammad ‘Awad, spokesperson of the Popular Committee Against the Wall and Settlements in Beit Ummar town, north of Hebron, said the soldiers invaded Safa area, violently searched the home of Kassab Abu Dayya, and kidnapped his son Saif, 18 years of age. Soldiers also installed a roadblock on the main entrance of the town, stopped and searched dozens of cars, and investigated the ID cards of the passengers. 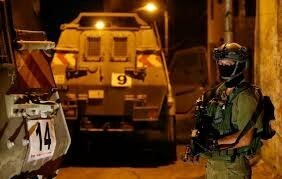 In Bethlehem, soldiers invaded Husan town, west of the city, broke into and searched several homes and stores. Mohammad Shousha, member of the Husan Local Council, said a large military force invaded the town just as the Palestinians were leaving the local mosque following Friday noon prayers, and stormed a number of stores before searching them and checking their surveillance tapes. Violent clashes broke out overnight between dozens of Jerusalemite young men and Israeli police forces in Silwan district east of occupied Jerusalem. Wadi al-Hilweh Information Center reported that the clashes erupted when the Israeli police stormed Ras al-Amoud and Ein Loza neighborhoods in the district. Tear gas bombs and rubber bullets were heavily fired during the confrontations, the Center added. The angry young men, in turn, responded by throwing stones and shooting firecrackers at the invading troops. An Israeli vehicle was earlier exposed to a Molotov cocktail attack in Ein Loza neighborhood in Silwan. The Israeli occupation forces (IOF) at dawn Friday stormed and combed different neighborhoods of the West Bank city of Jenin and set up ambushes and makeshift checkpoints. Local sources said Israeli troops aboard several military vehicles moved into al-Suwaittat woods near Arus Ashamal park and set up ambushes. A large number of soldiers were also seen patrolling the Jenin-Nablus road for different periods of time. The IOF also raided the areas of al-Jinan, al-Jaberiyat, and Marah Saad, and occupied the rooftops of Palestinian homes under construction for several hours. Israeli forces, Thursday evening, opened fire at Palestinians on land east of the city of Khuzaa, in the southern Gaza Strip. Witnesses told Ma'an News Agency that Israeli soldiers deployed at the border opened fire on individuals who were on private Palestinian land east of Khan Younis. They said that no injuries were reported as a result of the attack. An Israeli military spokeswoman did not return a request for comment. Israeli forces have repeatedly opened fire toward Palestinian civilians near the border, in the five months since the signing of the ceasefire agreement that ended a summer-long assault on Gaza that left around 2,200 dead and 11,000 injured. The attacks come despite Israeli promises at the end of the ceasefire that restrictions on Palestinian access to the border region would be lessened. The "security buffer zone" before the Israeli assault extended between 500 meters and 1,500 meters into the Strip, effectively turning local farms into no-go zones. According to UNOCHA, 17 percent of Gaza's total land area and 35 percent of its agricultural land were within the buffer zone as of 2010, directly affecting the lives and livelihoods of more than 100,000 Gazans. During the war, the buffer zone covered nearly half of the entire Gaza Strip, but, immediately following the cessation of hostilities, was reduced to former levels, with promises that it would be pulled back further. The border restrictions are part of Israel's broader siege on the Gaza Strip in place for the last eight years, which largely prohibits both imports and exports and has led to a severe collapse in the tiny coastal enclave's economy. The blockade has led to frequent humanitarian crises for Gazans, and the United Nations and various human rights groups have repeatedly called on Israel to lift it. 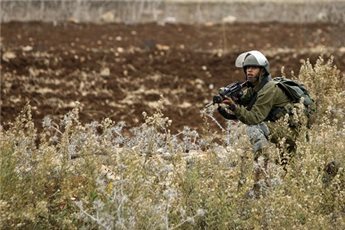 The Israeli occupation forces (IOF) stormed Thursday evening forest lands near Yabud town to the south of Jenin and carried out exercises in the area. 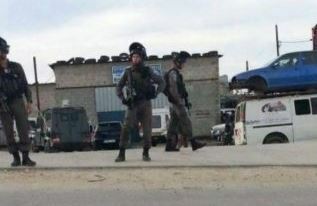 Local sources told the Palestinian Information Center (PIC) that the invading troops created a make-shift checkpoint at the road leading to the town where they stopped and searched Palestinian vehicles and passengers. Meanwhile, large numbers of Israeli forces were deployed in the evacuated Ganim settlement and al-Suwaittat woods east of the city. Two days ago, on the 10th of March, at around 1 AM in occupied Al-Khalil (Hebron), Israeli occupation forces raided the home of human rights activist Imad Abu Shamsiya and his family. The soldiers turned the house upside-down; the family watched as soldiers broke one of their cameras and stole the SD card and a hard drive. Imad Abu Shamsiya is a well known member of the Human Rights Defenders and his family has been frequently targeted by the Israeli army and settlers. At least 25 soldiers came to the house. 10 of them went inside and woke up the 7 family members, including children and teenagers between the ages of 11 and 17. The soldiers told the family to gather all in one room, taking photos of everyone and documenting their IDs. After breaking a cupboard, searching through the computer and ransacking the house, they left after approximately 2 hours. 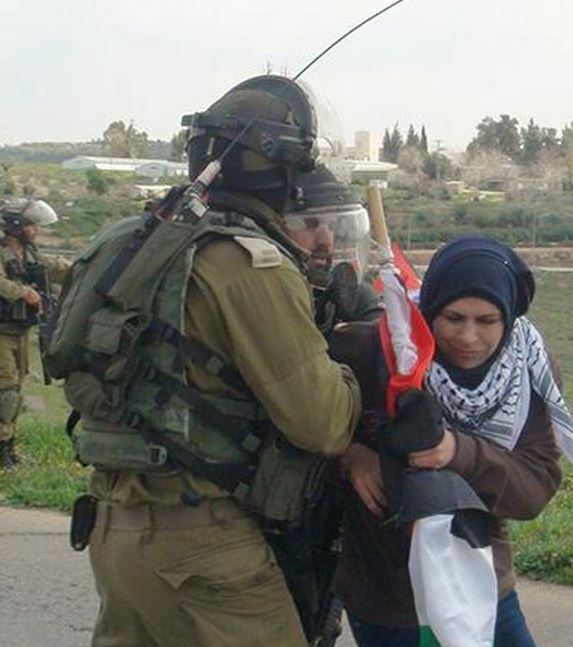 All family members have been attacked by settlers and either detained or arrested during the last 5 months. Yesterday, the day before the raid one of Imad’s sons, Awne, age 15, was detained for 3 hours because he refused to give up the name of one of his friends who the soldiers where looking for. 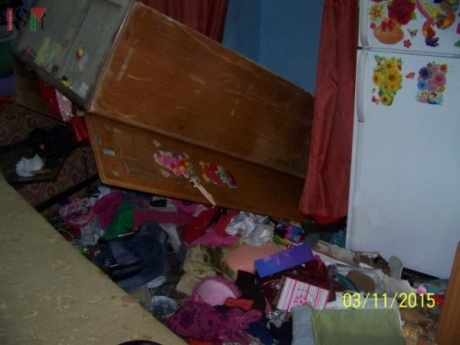 The raid on the Abu Shamsiya family is only one of the most recent in a series of home invasions Israeli forces have been conducting in Al-Khalil. 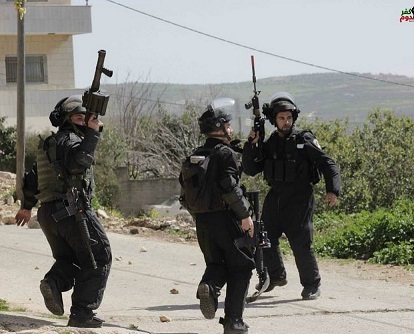 The following night at 1:00 AM, soldiers raided the Abu Sneneh family’s home in Qeitun neighborhood. Around forty soldiers broke into the house in the night, forcing open every door and ransacking all the rooms, destroying some of the family’s belongings and remaining inside for three hours. Several Israeli military vehicles invaded, on Thursday at dawn, various Palestinian communities in the southern West Bank city of Hebron, and a number of nearby towns. Eyewitnesses said the army invaded the ath-Thaheriyya town, south of Hebron, after closing all of its main roads, and drove around before leaving it later on. The soldiers also invaded Bani Neim town, north of Hebron, while several armored vehicles and trucks invaded various neighborhoods in Hebron city. 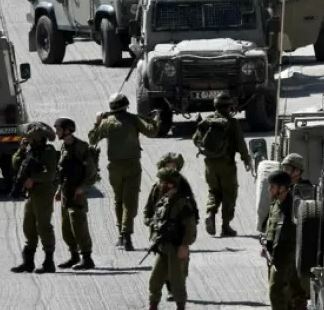 The soldiers withdrew later without conducting any arrests, while a number of army jeeps installed roadblocks on roads leading to a number of towns near Hebron, stopped and searched dozens of Palestinian cars, and interrogated many residents while inspecting their ID cards. 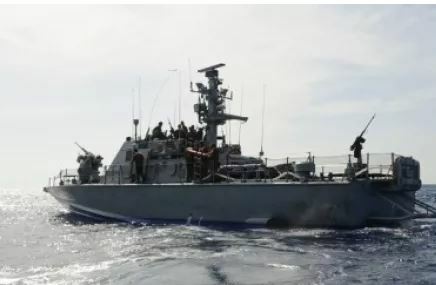 Israeli navy ships opened fire, on Thursday morning, on a number of Palestinian fishing boats in Gaza territorial waters, in the Sudaniyya Sea area, northwest of Gaza City. Local fishers said the navy fired dozens of rounds of live ammunition towards a number of fishing boats less than four miles off the coast. The fishers had to sail back to shore in order to avoid further Israeli escalation; no injuries were reported. Gaza fishers are subject to daily attacks and violations in Palestinian territorial waters within the six nautical miles the Palestinians are allowed to sail in and fish. The Navy even attacked fishing boats, and fishers, while the boats were docked on shore. Dozens of thousands of families in the besieged coastal region depend on fishing as their only sources of livelihood. The repeated Israeli violations against the fishers led to dozens of casualties, including several fatalities, while scores of fishers have been kidnapped and their boats were toad to Israeli shores. The current six-nautical-mile fishing zone falls drastically short of the twenty nautical miles allocated to Palestinian fishermen in the 1993 Oslo Accords. Earlier on Saturday, March 7, a Palestinian fisher identified as Tawfiq Abu Ryala, 34, was shot and killed by Israeli navy fire in Palestinian territorial waters, less than six nautical miles off the coast. Two fishermen were kidnapped.